The end customer was the US Department of Homeland Security (DHS), or more specifically the Transportation Security Administration (TSA). Leidos Inc, was contracted to retrofit 4 airport Baggage Handling System (BHS) Checked Baggage Inspection Systems (CBIS). The 4 airport systems being upgraded were the Rogue Valley International-Medford Airport, located in Medford Oregon; the Asheville Regional Airport, located in Asheville, North Carolina; the Grand Junction Regional Airport, located in Grand Junction, Colorado; and the Joe Foss Field Airport located in Sioux Falls, South Dakota. In total 13 EDS machines were recapitalized by the TSA under this program. The nature of the system retrofit and upgrades was to remove and replace the existing Explosive Detection System (EDS) machines that were used to x-ray customer baggage prior to being loaded onto an aircraft. The existing EDS machines were CT-80 machines, manufactured by the Reveal Company. The new EDS machines were CT-80DR machines, also provided by the Reveal Company. 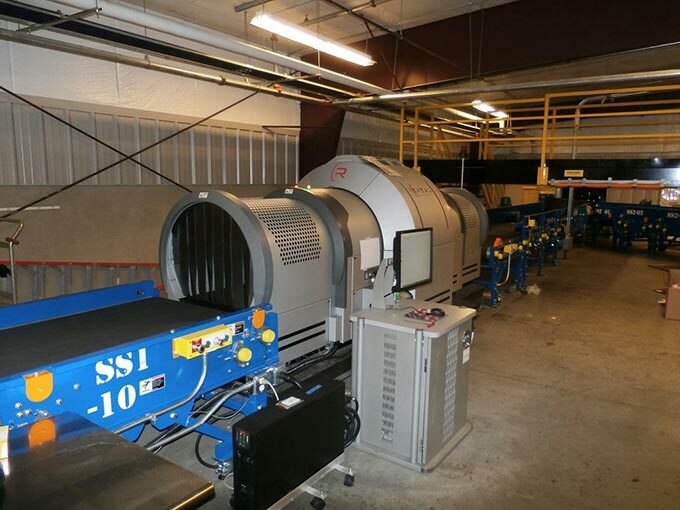 The CT-80DR machines being installed are capable of higher bags per hour throughput, thus increasing the overall efficiency of the operation for both airport and TSA personnel who use the system on a daily basis. Due to the increased efficiency of the new EDS equipment, some airport systems were reconfigured to function with fewer physical machines than originally designed to support. Adjustments were made to both the physical layout and process control for the BHS conveyor equipment utilized to feed bags to the EDS machines. iSystemsNow provided all electrical, controls and software engineering modifications required to support the removal of the old screening equipment, and integration of the new equipment into the BHS. Prior to accepting the new equipment for operation, the TSA required that all systems be certified by Battelle Memorial Institute, to comply with the stringent testing policies outlined in the TSA produced Planning Guidelines and Design Standards document. Upgrades at all four airports were completed with zero impact to the on-going live operations, and all systems successfully passed Integrated Site Acceptance Testing (ISAT) on their first attempt. After the first week of operating with their upgraded system in Medford, the users were very pleased with the results. "I want to thank you for working on our system. The XL is performing very well with few re-runs once in a while. You made a difference in our system." iSystemsNow looks forward to executing future EDS recapitalization programs with the Leidos and Vic Thompson Company teams.